This entry was posted in Open Source Blog and tagged Open source on April 9, 2019 by Open Source Programs Office. Explore the Season of Docs website at g.co/seasonofdocs to learn more about participating in the program. Use our logo and other promotional resources to spread the word. Examine the timeline, check out the FAQ, and apply now! This entry was posted in Open Source Blog and tagged Announcements, Open source, Season of Docs, SoD on April 2, 2019 by Open Source Programs Office. This entry was posted in Open Source Blog and tagged ios, Open source, Science Journal on March 28, 2019 by Open Source Programs Office. 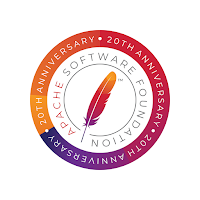 This entry was posted in Open Source Blog and tagged Apache Software Foundation, asf, Open source on March 26, 2019 by Open Source Programs Office. 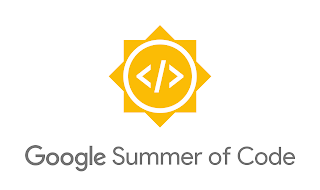 We are now accepting applications from university students who want to participate in Google Summer of Code (GSoC) 2019. Want to hone your software development skills while doing good for the open source community? This year we are celebrating 15 years of introducing university students from around the world to open source software communities and our passionate community of mentors. For 3three months students code from the comfort of their homes and receive stipends based on thefor successful completion of their project milestones. Interested students can submit proposals on the program site between now and Tuesday, April 9, 2019 at 18:00 UTC. While many students began preparing in late February when we announced the 200+ participating open source organizations, it’s not too late for you to start! The first step is to browse the list of organizations and look for project ideas that appeal to you. Next, reach out to the organization to introduce yourself and determine if your skills and interests are a good fit. Since spots are limited, we recommend writing a strong proposal and submitting a draft early so you can get feedback from the organization and increase the odds of being selected. You can learn more about how to prepare by watching the video below and checking out the Student Guide and Advice for Students. You can find more information on our website, including a full timeline of important dates. We also highly recommend reviewing the FAQ and Program Rules. Remember to submit your proposals early as you only have until Tuesday, April 9 at 18:00 UTC. Good luck to all who apply! This entry was posted in Open Source Blog and tagged Announcements, Education, gsoc, Open source, student programs, students on March 25, 2019 by Open Source Programs Office. 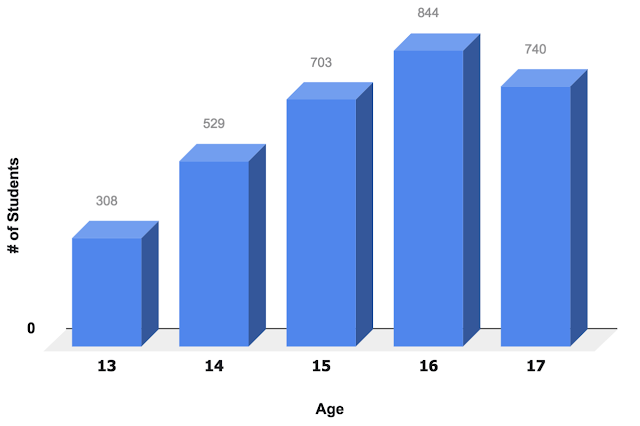 Google Code-in (GCI), our contest introducing 13-17 year olds to open source software development, wrapped up last December with impressive numbers: 3,124 students from 77 countries completed an impressive 15,323 tasks! These students spent 7 weeks working online with 27 open source organizations, writing code, writing and editing documentation, designing UI elements and logos, conducting research, developing videos teaching others about open source software, as well as finding (and fixing!) hundreds of bugs. We are pleased to have 9 countries with first time Winners and Finalists. Winners from Georgia, Macedonia, Philippines, South Africa and Spain, and Finalists from Israel, Luxembourg, Nepal and Pakistan. 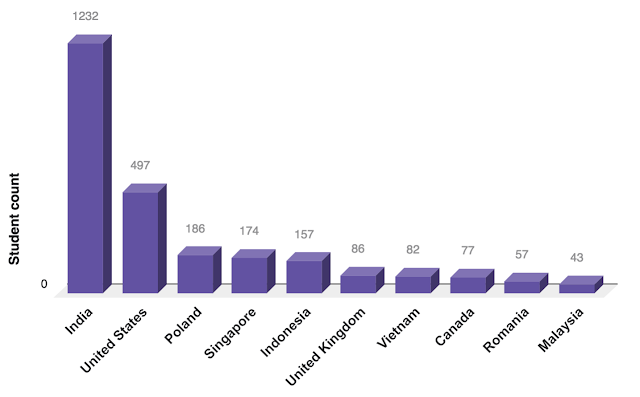 The chart below displays the 10 countries with the most students completing at least 1 task. In June we will welcome all 54 grand prize winners to the San Francisco Bay Area for a fun-filled trip. The trip includes the opportunity for students to meet with one of the mentors they worked with during the contest. Students will also take part in an awards ceremony, meet with Google engineers to hear about new and exciting projects, tours of the Google campuses and a fun day exploring San Francisco. We are thrilled that Google Code-in was so popular this year. We hope to continue to grow and expand this contest in the future to introduce even more teenagers to the world of open source software development. Thank you again to the heroes of this program: the 789 mentors from 57 countries that guided students through the program and welcomed them into their open source communities. This entry was posted in Open Source Blog and tagged gci, Open source, statistics on March 20, 2019 by Open Source Programs Office. At Google, we are committed to accessibility and are constantly looking for ways to improve our development process to discover, debug and fix accessibility issues. Today we are excited to announce a new open source project: Accessibility Scanner for iOS (or GSCXScanner as we lovingly call it). This is a developer tool that can assist in locating and fixing accessibility issues while an app is being developed. App development can be a time consuming process, especially when it involves human testers. Sometimes, as in the case with accessibility testing, they are necessary. A developer can write automated tests to perform some accessibility checks, but GSCXScanner takes this one step further. When a new feature is being developed, often there are several iterations of code changes, building, launching and trying out the new feature. It is faster and easier to fix accessibility issues with the feature if they can be detected during this phase when the developer is working with the new feature. GSCXScanner lives in your app process and can perform accessibility checks on the UI currently on the screen simply with the touch of a button. The scanner’s UI which is overlaid on the app can be moved around so you can use your app normally and trigger a scan only when you need it. Also, it uses GTXiLib, a library of iOS accessibility checks to scan your app, and you can author your own GTX checks and have them run along with scanner’s default checks. Using the scanner does not eliminate the need for manual testing or automated tests, these are must haves for delivering quality products. But GCSXScanner can speed up the development process by showing issues in app during development. Help us improve GSCXScanner by suggesting a feature or better yet, writing one. This entry was posted in Open Source Blog and tagged accessibility, ios, Open source, Test Automation, Testing on March 13, 2019 by Open Source Programs Office. We're excited to announce that Google is a founding member of the newly formed Continuous Delivery Foundation (CDF). Continuous delivery (CD) is a critical part of modern software development and DevOps practices, and we're excited to collaborate in a vendor-neutral foundation with other industry leaders. We're also thrilled to announce the contribution of two projects as part of our membership: Tekton, and in collaboration with Netflix, Spinnaker. These donations will enter alongside Jenkins and Jenkins X, providing an exciting portfolio of projects for the CDF to expand upon. Currently, the continuous integration/continuous delivery (CI/CD) tool landscape is highly fragmented. As companies migrate to the cloud and modernize their infrastructure, tooling decisions become increasingly complicated and difficult. DevOps practitioners constantly seek guidance on software delivery best practices and how to secure their software supply chains but gathering this information can be difficult. Enter the CDF. The CDF is about more than just code. Modern application development brings new challenges around security and compliance. This foundation will work to define the practices and guidelines that, together with tooling, will help application developers everywhere deliver better and more secure software at speed. At a foundation level, the CDF will help make CI/CD tooling easier. And at a project level, Tekton helps address complexity problems at their core. We will team up with the open source community and industry leaders to design and build the critical pieces common to CI/CD systems. Tekton is a set of shared, open source components for building CI/CD systems. It provides a flexible, extensible workflow that accommodates deployment to Kubernetes, VMs, bare metal, mobile or even emerging use cases. The project’s goal is to provide industry specifications for pipelines, workflows, source code access and other primitives. It modernizes the continuous delivery control plane by leveraging all of the built-in scaling, reliability, and extensibility advantages of Kubernetes, and moves software deployment logic there. Tekton was initially built as a part of Knative, but given its stand-alone power, and ability to deploy to a variety of targets, we’ve decided to separate its functionality out into a new project. Today, Tekton includes primitives for pipeline definition, source code access, artifact management, and test execution. The project roadmap includes adding support for results and event triggering in the coming months. We also plan to work with CI/CD vendors to build out an ecosystem of components that will allow you to use Tekton with existing tools like Jenkins X, Knative and others. Spinnaker is an open source, multi-cloud continuous delivery platform originally created by Netflix and jointly led by Netflix and Google. It is typically used in organizations at scale, where DevOps teams support multiple development teams, and has been battle-tested in production by hundreds of teams and in millions of deployments. Spinnaker is a multi-component system that conceptually aligns with Tekton, and that includes many features important to making continuous delivery reliable, including support for advanced deployment strategies, and Kayenta, an open source canary analysis service. Given Google’s significant contributions to both Tekton and Spinnaker, we’re very pleased to see them become part of the same foundation. Spinnaker’s large user community has a great deal of experience in the continuous delivery domain, and joining the CDF provides a great opportunity to share that expertise with the broader community. To learn more about the CDF, listen to this week's Kubernetes Podcast from Google, where the guest is Tracy Miranda, Director of Open Source Community from our partner CloudBees. If you'd like to participate in the future of Tekton, Spinnaker, or the CDF, please join us in Barcelona, Spain, on May 20th at the Continuous Delivery Summit ahead of KubeCon/CloudNativeCon EU. If you can’t make it, don’t worry, as there will be many opportunities to get involved and become a part of the community. We look forward to working with the continuous delivery community on shaping the next wave of CI/CD innovations, alignments, and improvements, no matter where your applications are delivered to. This entry was posted in Open Source Blog and tagged Announcements, continuous delivery, continuous integration, Jenkins, Knative, Open source, Spinnaker, Tekton on March 12, 2019 by Open Source Programs Office. Google Open Source is delighted to announce Season of Docs, a new program which fosters the open source contributions of technical writers. Season of Docs brings technical writers and open source projects together for a few months to work on open source documentation. 2019 is the first time we’re running this exciting new program. Join us in making a substantive contribution to open source software development around the world. There are people who know how to do docs well. Technical writers know how to structure a documentation site so that people can find and understand the content. They know how to write docs that fit the needs of their audience. Technical writers can also help optimize a community’s processes for open source contribution and on-boarding new contributors. Mentors from participating open source organizations share knowledge of their communities’ processes and tools. Together the technical writers and mentors build a new doc set, improve the structure of the existing docs, develop a much-needed tutorial, or improve contribution processes and guides. See more ideas for technical writing projects. By working together in Season of Docs we raise awareness of open source, of docs, and of technical writing. See the timeline for details, including the provision for projects that run longer than three months. Explore the Season of Docs website at g.co/seasonofdocs to learn more about participating in the program. Use our logo and other promotional resources to spread the word. Examine the timeline, check out the FAQ, and get ready to apply! This entry was posted in Open Source Blog and tagged Announcements, docs, documentation, Open source, Season of Docs, SoD, technical writing on March 11, 2019 by Open Source Programs Office. 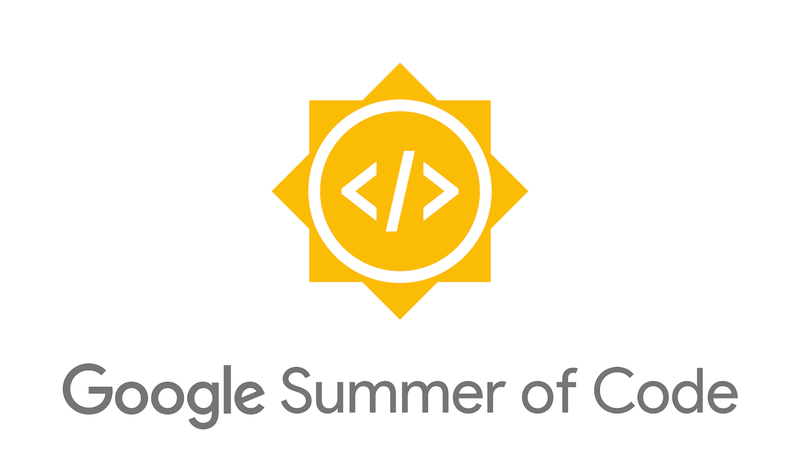 We are excited to announce the open source projects and organizations that have been accepted for Google Summer of Code (GSoC) 2019, the 15th year of the program! As usual, we received more applications this year than we did last year, about twice as many as we are able to accept into the program. After careful review, we have chosen 207 open source projects to be mentor organizations this year, 28 of which are new to the program. Please see the program website for a complete list of the accepted organizations. Are you a student interested in participating? We begin accepting student applications on Monday, March 25, 2019 at 18:00 UTC and the deadline to apply is Tuesday, April 9, 2019 at 18:00 UTC. The most successful applications come from students who start preparing now. You can start by watching the short video below, checking out the Student Guide, and reviewing the list of accepted organizations and reaching out to the 2 or 3 that interest you the most now - before the application period begins. You can find more information on our website, including a full timeline of important dates. 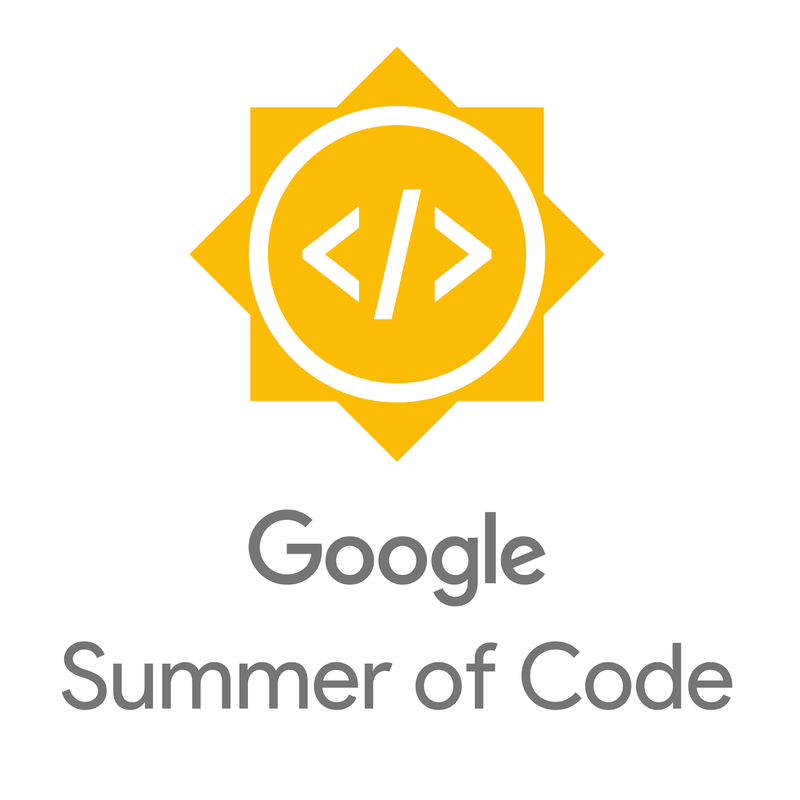 We also highly recommend perusing the FAQ and Program Rules and watching the short videos with more details about GSoC for students and mentors. A hearty congratulations–and thank you–to all of our mentor organizations! 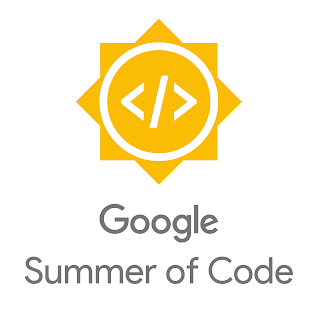 We look forward to working with all of you during Google Summer of Code 2019. This entry was posted in Open Source Blog and tagged Announcements, edcation, gsoc, Open source, student programs, students on February 26, 2019 by Open Source Programs Office.